Imagine being able to expand your company's capabilities without needing to purchase expensive hardware or worry about running and maintaining it in your office. Cloud services are structured so that your business only pays for what is used. (Usually this is a simple monthly subscription calculated on a "per user" or "resources consumed" basis). With new Cloud Solutions being released on a daily basis, we are able to help you to select the ones that are right for you. With our experience in helping customers migrate their business applications, data and management to the cloud we are uniquely positioned to give unbiased practical advice and effectively help you to implement the migration of your company's ICT functions. There are so many cloud solutions and services. Making sure you select the right one can make or break your business. 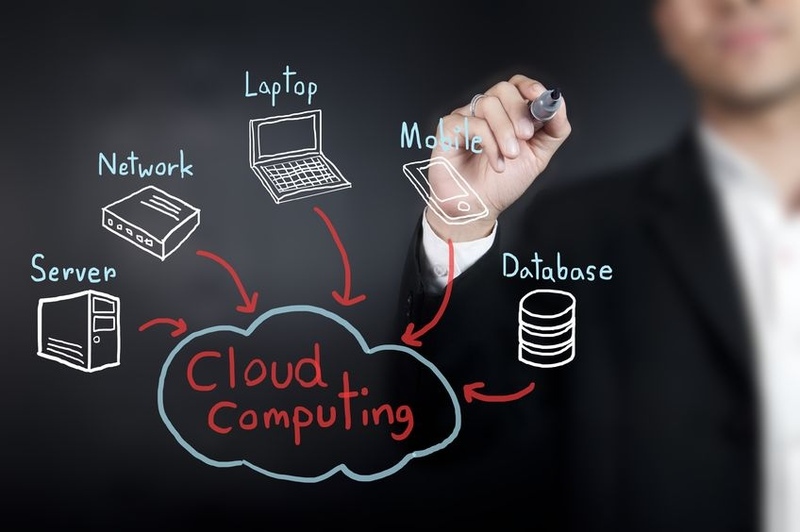 Call our team today to learn more about cloud services and how using these services correctly will benefit your bottom line and enhance your business's competitive advantage. Low Cost - There are no expensive servers to purchase, house and maintain. Work from Anywhere - Access all your data from home, the airport, the coffee shop - anywhere there is an internet connection. Increased Collaboration - Cloud-based workflow and file sharing apps make it easy for your employees to access files and work together to solve problems more efficiently. Flexibility - Cloud Solutions offer flexible pay as you go models, making it easy to scale up or down depending on your needs. Local Service / Help Desk - Our in-house engineers are certified, helpful, friendly and take ownership of your IT issues. 19+ Years of Experience - We've been around for a long time and have a team of in-house IT consultants to advise you and ensure that your migration to the cloud is seamless. Incidentally this case formed part of lucidity's submission for the Microsoft Partner Of The Year Awards 2017. - Lucidity managed to win this prestegious award. Case Study - Watch a video case study to find out how Seating To Go is benefiting from cost reductions and increased staff productivity through moving to CT Business Solutions/Lucidity's Managed Desktop and Office 365.
Who is CT Business Solutions? and what relationship are they to Computer Troubleshooters? CT Business Solutions is a sub-brand of Computer Troubleshooters. Just as Coke Zero is to Coke or McCafe is to McDonald's. The brand was formed in 2012 to better enable those Computer Troubleshooters who wanted to, to identify more with the Business to Business market. The obvious tie is the CT used in the name, and the colours and slogans used in our branding. Currently, in New Zealand, Computer Troubleshooter locations that identify as CT Business Solutions are Hamilton, Christchurch East, and Dunedin. That is not to say that other locations don't do business to business work, it was just a matter of individual CT franchisees being more comfortable with their "perceived" place in the market. CT Business Solutions in Hamilton is currently (2018) the longest-serving franchisee in the global Computer Troubleshooters organisation.